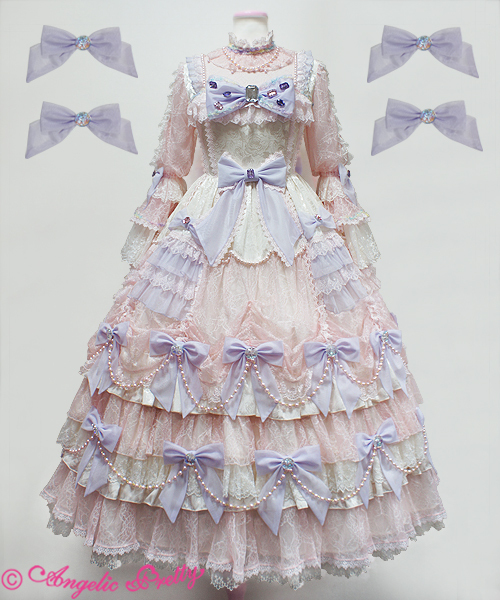 Angelic Pretty released a collection of extravagant dresses and one of them is Prism Princess. 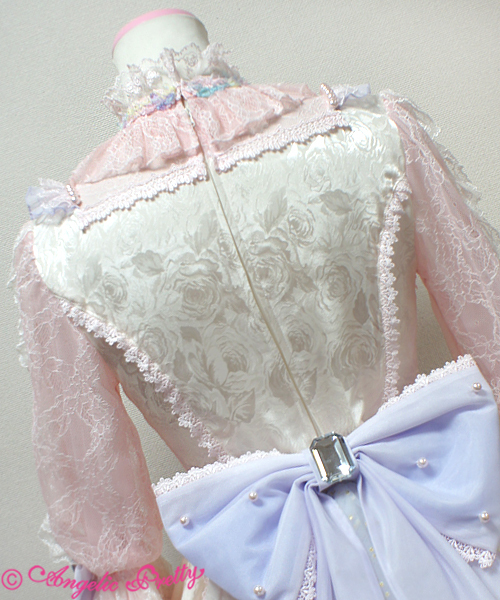 This dress is truly amazing, the detailing is pristine. 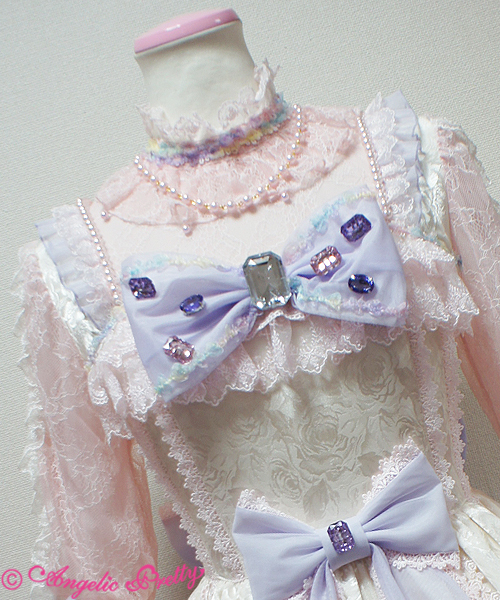 It looks like a most opulent wedding cake. With fine rose printed fabric as base and layers of lace and frills. 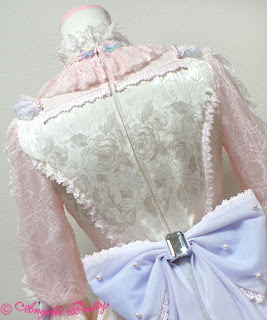 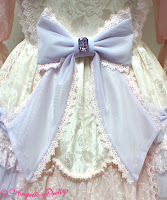 The color combination of pale pink, white and lavender bows looks amazing for the style of dress. 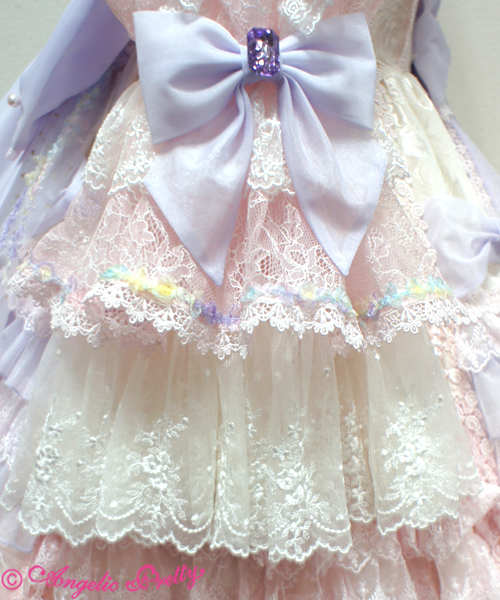 I love the little gems and pearls all over the dress. 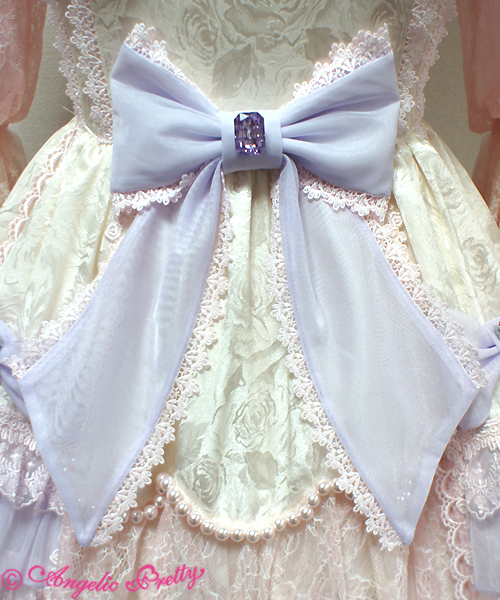 I love the little rainbow lace around the neck that is used in a few more places on the dress, Its adorable without making the dress messy. I know a lot of people don't like these but I'm in love with this. 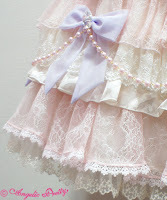 I hope to see some worn photos of it soon!